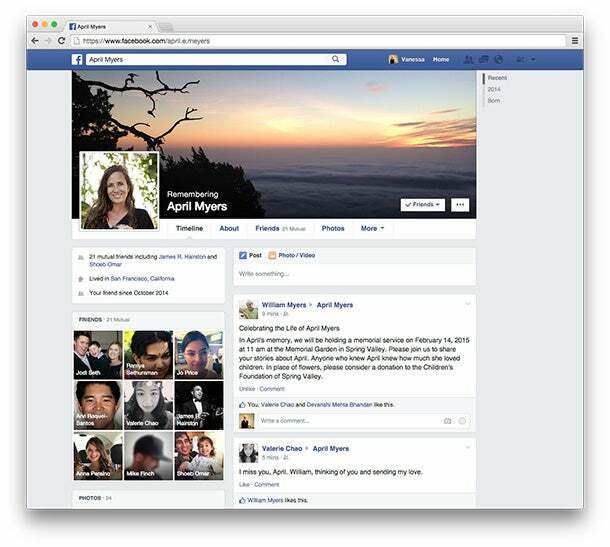 While encountering active Facebook profiles for the deceased can be eerily disquieting, the social network has now announced new settings to better memorialize users after they have passed. 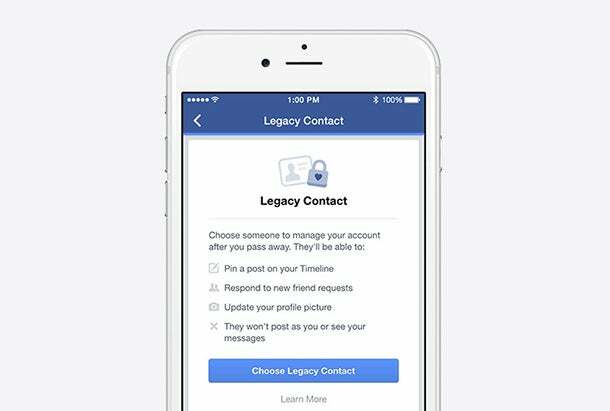 Beginning today, members can select a “legacy contact” to manage their accounts postmortem, Facebook wrote in a blog post. While legacy contacts won’t be able to log into deceased users’ accounts as normal or access their private messages, they can update profile pictures and cover photos, respond to new friend requests and write pinned posts at the top of deceased users’ timelines. Legacy contacts can also download an archive of a person’s Facebook photos, posts and profile information in totality, Facebook said. If members prefer not to select a legacy contact, they can choose to have their accounts permanently deleted after they die. Users who do select a legacy contact, however, will receive a redesigned profile that features the word ‘Remembering’ above their names. Previously, Facebook offered a basic memorialization option by which, after a request was processed, accounts of the deceased were essentially frozen. “By talking to people who have experienced loss, we realized there is more we can do to support those who are grieving and those who want a say in what happens to their account after death,” Facebook wrote. The option will roll out in the U.S. before expanding internationally. The process of adding a legacy contact is outlined in full here. In 2013, Google made a similar move when it launched the Inactive Account Manager, enabling users to determine what they want to do with their Gmail messages and other Google services after they die.